Gardening is a great way to introduce toddlers to valuable concepts like cause and effect, the source of the food we eat, and how to take care of living things. Spring is almost here, so why not start some growing activities inside. In a few weeks, everyone will be excited to head out and plant their seedlings! 1. Create a magical oasis to begin your outdoor experience. The Vine House is the perfect hideout for young children to play, make believe, enjoy quiet time, or watch birds come and go. Surround the archway with planters and plant beans or other climbing plants to create a magical retreat for everyone. This one can be done indoors! 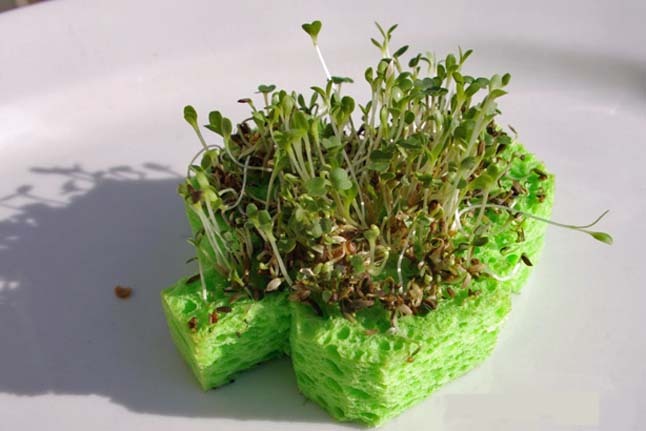 Sow some grass seeds on a moist sponge placed on a plate, and put in a sunny window. Add fertilizer to your water each day, and students will watch grass grow before their eyes! 4. Use pocket microscopes to study plant-life. Everything is so much more interesting when it is magnified. 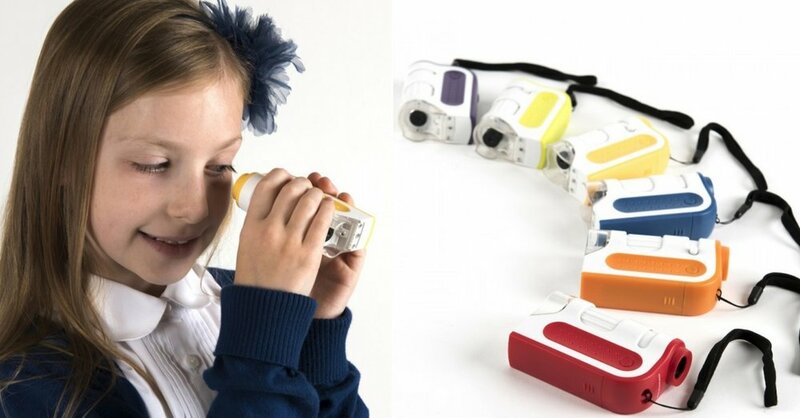 Teach children how to look at plants and bugs with a set of these sturdy pocket microscopes. They will never want to come inside! 5. Share findings with a class Nature Bowl. A nature bowl is a great place for children to collect their outdoor findings and show their peers what they have discovered. This bowl creates a perfect space for them to gather their collections and have rich tactile experiences - together! No worries about cleaning up or starting over - there is a drain plug in the bottom of the bowl. 6. Give them fun tools to explore with! This enormous utensil set that consists of a giant spoon, shovel, and sieve makes a great addition to your outdoor area. Children will love stirring, sieving and mixing wonderful concoctions as they explore the outdoors. These utensils are not only lots of fun, they also help to develop gross motor skills and mathematical literacy. What do you like to do in the classroom to teach your students about Mother Nature? Share with us in the comments!